Maxime Faget was a leading aerodynamicist with the American space program. Having received a B.S. in aeronautical engineering from Louisiana State University in 1943, Faget joined the staff at Langley Aeronautical Laboratory in 1946 and soon became head of the performance aerodynamics branch of the pilotless aircraft research division. There, he conducted research on the heat shield of the Mercury spacecraft. He was one of the original 35 engineers who, in 1958, were selected to form the nucleus of the Space Task Group in NASA, forerunner of the NASA Manned Spacecraft Center, which eventually became the Johnson Space Center. Faget became JSC's assistant director for engineering and development in 1962 and later its director. He contributed many of the original design concepts for the Mercury Project's manned spacecraft and played a major role in the design of virtually every subsequent American crewed spacecraft, including the Space Shuttle. He retired from NASA in 1981 and became an executive for Eagle Engineering, Inc. In 1982 he was one of the founders of Space Industries, Inc. and became its president and chief executive officer. 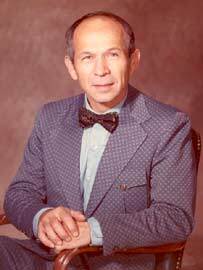 "He was a true icon of the space program," said former JSC director Chris Kraft following Faget's death in 2004. "There is no one in space flight history in this or any other country who has had a larger impact on man's quest in space exploration." Faget, whose wife Nancy died in 1994, is survived by four children and 10 grandchildren.